Every successful business out there has their own role to play in order to solve the society's problems. As a would-be businessperson, you have your own slot too. - Who needs your product and service? - Why does the need that product or service? - Is there anybody else who’s providing the same value? - If yes, what makes you different from them? - How hard is the competition? - How well your business will fit within the current market? Once you have clean and clear ideas of all of these answers, you do have a clear perception of your entire business idea. ● Go to the next level of technology. ● Fix a problem that bugs most of the people. ● Try to sell skills from an entirely new field. ● Be faster, cheaper and better. But not with low-quality products. A properly written business plan is the base and backbone of a small business. You’ll not get things going before you’re done with this step. A business plan is a blueprint of your production, market research, competitor analysis, business milestones and whatnot? Although the type of business plans differ from business to business. But we want to go for at least a draft version of it. This business plan will also come to be helpful when you're looking forward to funding, sponsorship of financial loan for the business. When you're putting your business plan in that way, follow the specific guideline provided by the organization you're seeking fund from. ● Development and design plan. ● Management and operation plan. ● Production and quality plan. ● Market and revenue estimation. ● Risks, flaws, and casualties. For us, this is the final step of this phase where you have to set a price point to whatever service or product that you're selling. You can start by checking out the price-quality ratio of your competitors. That would give you a firm idea. It's not only about offering a cheaper price. It's about providing your clients with better value for the cheaper price. Try adding some extra value to your customer if you want to raise the price little higher. Think about the social and environmental credibility of your and your competitor’s as well. Keep evaluating the certification, grading, and labeling such as ‘stars' in mind. Keep your production, marketing and managerial cost in mind. You might have already thought of what name your business would be off. It must resemble your business motto along with spreading a positive vibe among your potential buyers. But that's not the end. You should check your country's local directory in order to assign a trade license to the name. If the trademark isn't currently in use, you can apply for that name to the state or country clerk. Once the required paperwork is done, you will be given with the trade name as either corporation or LLC or Limiter Partnership business. Once you're done with achieving license and trademark, don't forget to register your domain name as a website. Now that you have a trademarked business name, you should go for legal work permits and other relevant papers. Based on what business you are in, what country you're living, what state your business is located, how big or small business is- this paperwork vary a lot. Although most of this paperwork can be done alone. But if you're dealing these stuff for the first time, it's better to get help from a lawyer or business consultant. That will make sure that you've covered every essential detail. We're assuming that you're about to step in a business that would spread over the internet. If so, it's essential to get a payment system(for your clients) done. As you know, every payment procedure has its terms and conditions that would set the state of safety for both clients and customers. You, as a business owner has to sort that out and embedded in your website. Once you're done with it, you step ahead is to earn your client's trust. Because everyone loves to pay through a system which is safe and backed up by some sort of financial organization. In case your business is not oriented around the internet, you can skip this step and move forward to the next level. In business, there are certain types of resources that you have to gather and put in work. These are kind of the capitals of your business and you need to invest after than. By setup, we mean the area of operation, the office, the official infrastructure, decorations, hardware etc. This is the place from where the whole business of yours will be operated from. Once you have the plan and the paperwork are done, you can call for recruitment's and start training manpower. This is essential for almost any kind of small businesses around there. For some partnership businesses, the necessity of fresh manpower isn't as important. But to grow your business right away, it's an important part where you need to focus on. This is the most basic resource that you need to gather. In fact, for every other kind of actions, you need money and that's what we're calling capital here. If you fund your business by all yourself then it's fine. Otherwise, you need to seek sponsorship, fund allocation or angel investors. You can try crowdfunding options like Kick starter to raise an initial fund anyway. This is one of the important pillars that you need to build your small business on. As you know, managing finance is not only about money. It included financial management, cost-profit ratio analysis, risk and ROI analysis and so on. Almost any kind of small business requires a certain capital to start. And that's what we are calling startup cos. In start-up cost, there is money to purchase supplies and equipment, machines and mechanisms, infrastructure etc. In this case, it's best to finance yourself. ● If you have a decent amount of savings, consider using a part of it as your startup cost. Because vendors and angel investors are not likely to contribute in this part. ● There are loans like home equity loans available from financial institutions like banks. And the good fact about these kinds of loans is, they are very easy to get approved. ● If you manage to have a 401(k) plan, it's best to consider for borrowing the amount against the plan. In this manner, usually, you can borrow 50% of the money. ● If you don't have the plan to start the business soon, you can go for a savings plan. This helps when you decide to save from a running income source like a business or job. Also, this helps from any kind of debt or pressure of loans. Right after the startup cost, the next type of cost you’ll be introduced with is the running cost. Running costs are basically, the ongoing and day-to-day cost for office rent, management, salaries of employees and so on. Keep an eye on the running cost carefully. If you see any kind of cost to be wasted, look around for saving some bucks up. Minimize the amount of cost as much as you can. You can always have the chance of spending more as you grow. An accounting system is a must for any kind of online or offline business. Specially, when your business system will be growing, this will help you to meet both ends of budget and growth. To create and manage the budget, to set your rates and prices, to conduct deals with other business, it's best to hire an accountant. In case you can't set up the accounting system, a hired accountant would do that. Also, there are many accountants available online who'd work for you right from their office. This is a good idea for those of us who want to save some bucks. A piece of important advice that you'd get from almost no one is to keep the transactions transparent. This helps in a number of ways when you can see the inputs and outputs by naked eyes. Of course, all of your business is going to develop around the product and service you have to offer for your customers and clients. When you will see the business developing, it's going to feel awesome. But there are some issues when you underestimate the hassle of this matter. There are a number of product types and of course, each has their own process. In case of both services and products, the aspects, steps, product quality, product maintenance- all of them are going to take tolls of time, money and maintenance. Before putting it into the production, you, of course, have a design or manufacturing plan for the product. And that's what you need to work on at the beginning. In the case of service, this comes to be a little harder. Because you can't see what the service quality is going to be before actually working on it. Hence, we would advise you to consult with your business mentor or advisor to purifying your production formula. In cases of service, we better say it's skill development formula. Another common mistake many of the startup owners are likely to do is- they want to compromise in the product quality. Of course, you are advised to spend as minimum as you can. But that doesn't mean that you'd sacrifice on the product quality. No matter how much material of good quality you need, ensure to spend after that. In case you're struggling with initial finance, do the same quality of production in smaller chunks. That would save some of your bucks. But going after the cheap manufacturing process is going to take its toll in the end. - The production and processing(packaging, labeling) cost. - The cost of manpower and infrastructure. - The current price-points of your competitors. Considering all of these three points, if you think you're going to add some new value for your customers, you can go for high prices. Otherwise, it’s best to start with lowest possible price and profits. At least in case of super-competitive businesses, this had become kind of a rule. In the case of production, we've seen many startups to invest after production quantity that they don't need right then. We call it overstocking. Of course, you don't want to run out of stocks right in the middle of running a business. But that doesn't mean that you would produce 5 to 10 times of what you need for the moment. In fact, in some industries, the trend and demand seem to be dynamically changing. Take clothing, garments and wearable items as an example. The trends are likely to change every week. If your business belongs to an industry like these, you better produce in smaller chunks and do it over and over. That will cost you a few bucks more, but it may save you from thousands of bucks wasted. This is the point where most of the startups and small businesses seem to struggle. In fact, the lack of proper marketing strategy is the reasons for 80% of the failed startups. A website is certainly going to be a wide open window of your business. No matter you're an e-commerce business or not, a well-built website certainly adds up to your brand value and may bring potential customers as well. - Register a domain and allocate a hosting. - Develop the website's structure. 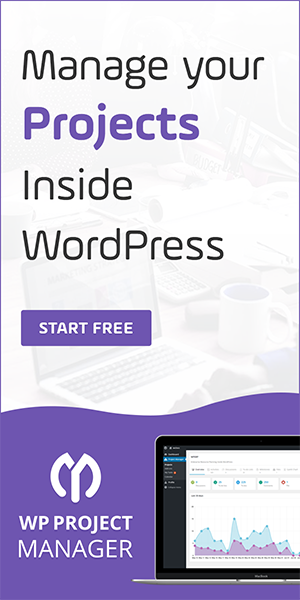 You may use simple CMS like WordPress. - Create text and graphical contents that expresses your business. - Provide product description and implement payment gateways. As you're done with building the little space of your business on the internet, now it's time to spread it up. - Identify and sort out your potential customer base and their identity. - Sort out the demographics, age, gender, location, behaviors or your prospects. - Create a presence of your business in these media and start creating contents for them. 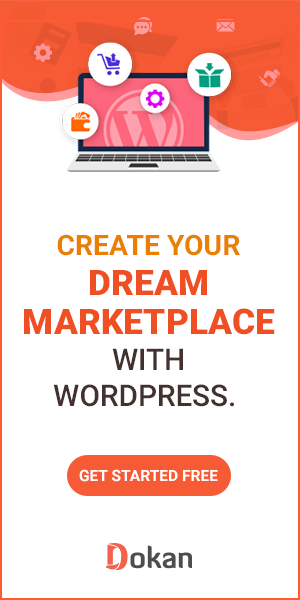 - Once you’re done with creating the contents/ad copies for your business, reach them out via paid advertisement. There are also some other methods of creating brand awareness. Such as- social media participation, sponsorship, and funding, event organizing, word of mouth marketing, referral marketing, influence marketing and so on. Now that, you’re creating a certain amount of potential prospects, it’s time to convert them into sales. The task isn't as easy as it sounds. Because the prospects will come up to your customer support team with a number of questions, confusions, and mindsets. Answering their queries and leading them towards a client-business relation is a hard work to do. In order to do that, you need to have a number of elements displayed int he website. Besides, a good customer care team is the lead role player in this case. Also, the client's testimonials, portfolios, citations, and references, business authentication etc. are vital facts in this concern. The last but not the least part of small business growth is creating a customer support unit. By customer support, we don't only mean a group call respondents. As many of your brand aspects are depended on them, you need to take care of it by every mean. Verifying your business in Google business, Local directories, and Yellow pages to help your customer find you quickly. To create multiple forms of supports such as text chat, phone calls, email support etc. Create a knowledge base right on your website to find the basic questions and their answers. Create a ready-to-go customer support unit in order to assist customers in solving their queries. Apart from the newly generated potential customer base, it's also important to keep supporting existing customers. Keep an eye on that. 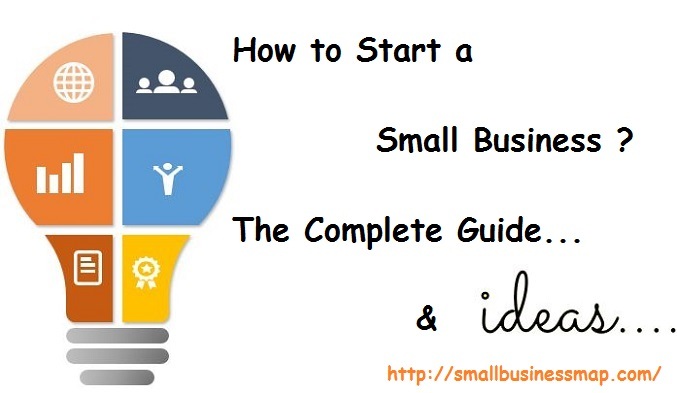 Thanks for going through the entire guide on how to start a small business and how to get the balls rolling. We've tried our level best to cover up every topic for every kind of business in a general sense. But based on specific business type, certain portions of this discussion can be added or subtracted. However, good luck with the path ahead with your business!